I wasn’t going to write anything online about this as Lance Armstrong has already been in every paper, on every news channel, and even a crappy interview with Opera. To be quite honest it annoys me that he is still managing to make money off of his tarnished pro cycling career. I’m sure he will appear on more crappy talk shows and in the media making further twisted attempts to justify his actions, though the damage has been done and Lance now joins the ranks of the his fellow disgraced athcheats who used drugs to win. I take particular offense to Lance’s actions as I was also diagnosed with cancer, I was lucky enough to overcome it and get back on the bike. I lost a lot of muscle and was much weaker, I worked hard and continue to do so to build myself back up and become a better, stronger cyclist. I enjoy racing and like to do well but I would not take performance enhancing drugs for any reason at all! 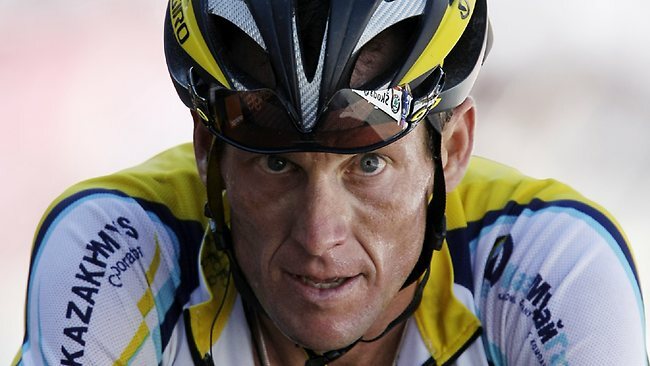 I lost all respect for Lance when it became clear that he cheated, my honest opinion and view of Lance Armstrong is ‘what a total wanker’. In a world that lacks positive role models it’s a shame that someone that has overcome so much felt the need to sink to such lows. Having battled cancer and won he had already succeeded where many fail, so why take drugs to win a bike race? Knowing that he had overcome his illness and was back racing was enough to earn him the respect of everyone in the cycle world. Though it turns out he was nothing but a lying cheat! I have to respect The Livestrong Foundation and all those involved with it, and whilst I have lost all respect for Lance I will continue to support and agree with all the hard work and support the Foundation provides to cancer suffers. Like many other cyclists/cancer sufferers I looked up to Lance and what he had achieved, the fact that he’d overcome such a violent illness and had gone on to win was a true inspiration. Whilst having chemotherapy I felt particularly low, weak and frail, though it was hearing stories of people such as Lance that motivated and inspired me. So it does annoy me to find out that this supposed ‘hero’ of cycling is nothing but a lying cheat, who would not have achieved anything without taking drugs. If he had simply given it his best that would have been more than enough to earn him the respect of his peers and the public. Whilst I cannot deny that winning is a great feeling and career maker the cost at which he achieved this was simply not worth it. Is it not better to be ‘the guy that overcame cancer and did the best he could’ rather than ‘the guy that cheated to win’?